Join us this Canada Day to kick off the day's celebrations with a run or walk in Wascana Centre. 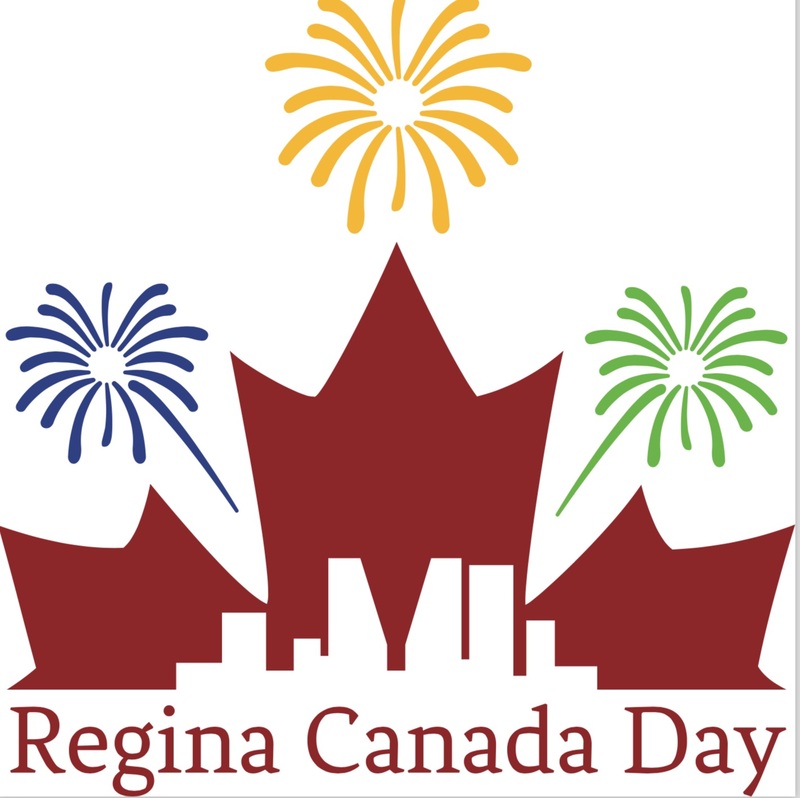 Event is a co-production of Regina Canada Day Committee and the Queen City Marathon Inc.
Start/Finish line located close to the intersection of College Ave and Wascana Dr (near Wascana Pool). Look for the big blue Queen City Marathon arch. Package pickup will be next to the start line and open at 7:30 am for you to pick up your race package. Runners will receive a custom Canada Day Run technical t-shirt at package pickup. Volunteer course marshals will direct runners around the course and assist in crossing intersections. Please watch out for vehicles and people using Wascana Centre on Canada Day morning. Pathways and roadways will be shared. One water station will be available on the 5K course at approximately 2.5 km. No water station will be on the 3K course. Runners will be presented with a Canada Day Fun Run finishers medal as they cross the finish line. Runners will also receive a bottle of water and small snack. All runners are invited to the Free Pancake Breakfast at the Main Stage after their run. 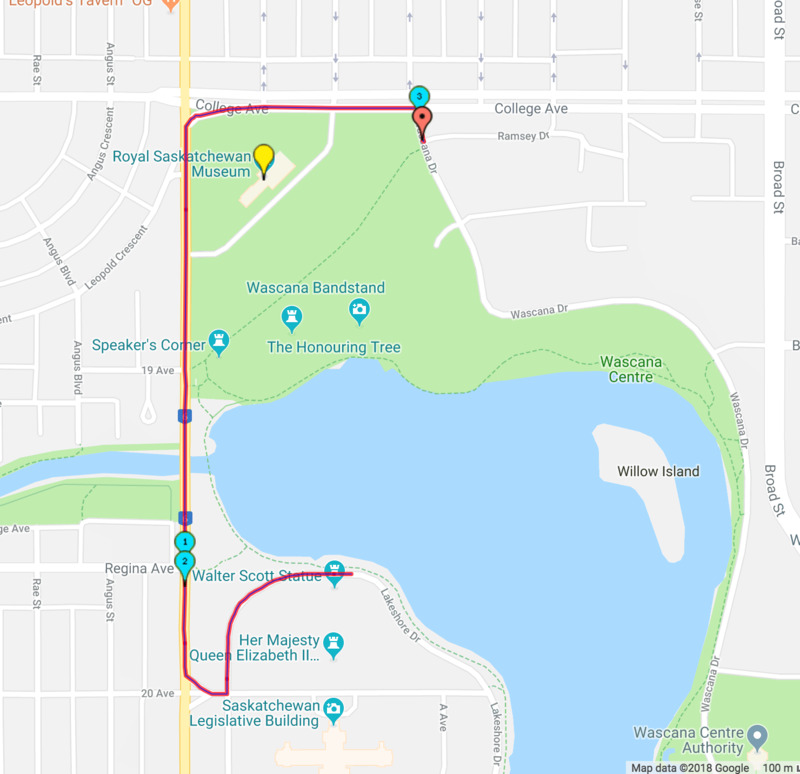 Starting and finishing near the intersection of Wascana Dr and College Ave this out and back course heads west on College Ave before turning south across the Albert St Bridge and looping into Wascana Centre. Runners return the same way they came. 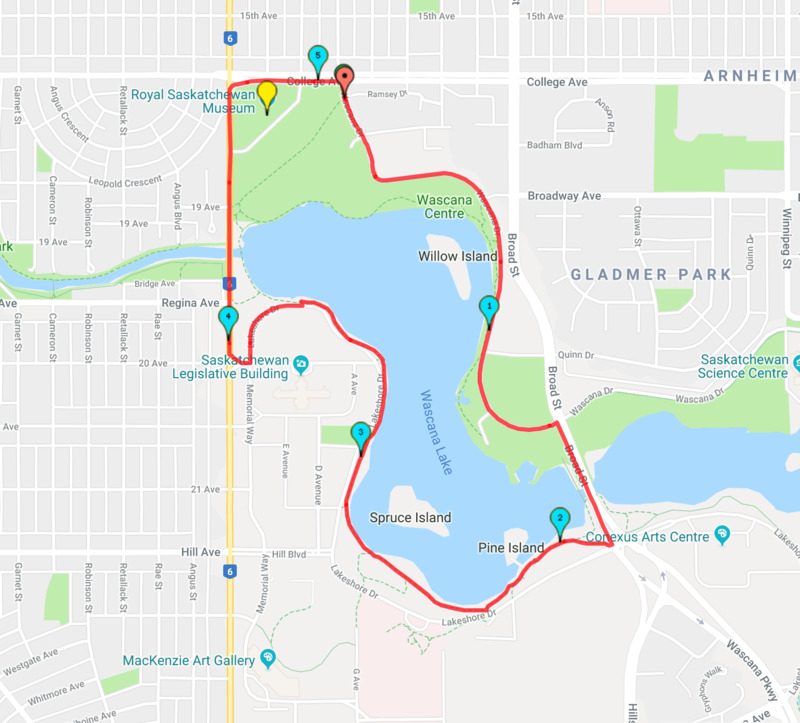 Starting and finishing near the intersection of Wascana Dr and College Ave this 5K course is clockwise loop course around Wascana Lake, including a short stretch to Albert St and across the Albert St Bridge. If you have any questions please email runqcm@hotmail.com.